Current trends in the pharma market, such as the discovery of increasingly lipophilic APIs, macromolecules, and biological actives have created a need for a more in-depth understanding of existing excipients, as well as the creation of new excipients, says Karen A. Coppens, Global Marketing Manager for Dow. “For example, there are few excipients that are designed for processes such as hot melt extrusion or spray drying to enable solubility enhancement of highly lipophilic insoluble APIs,” she says. As such, a number of new products have been introduced that are modifications of existing monographed excipients. In addition, continuous manufacturing has put increased demand on the performance of existing excipients, says True L. Rogers, RPh, PhD, Technologies Leader at Dow. Similarly, for the delivery of biosimilars, there are few approved excipients that can be successfully utilized. “Overall there is a strong trend that suggests the current monographed ingredients will not continue to be sufficient to support the newly discovered actives in the near future and new excipients will be required,” says William Porter III, PhD, Dow Associate Research Scientist. Drug Development & Delivery magazine recently spoke with some of the leading excipient innovators to find out what types of excipients they are developing, the advantages they offer to formulations, and where they see the industry focusing over the next few years. Cell cultures used in biologics manufacturing have stringent requirements that must be met to ensure high cell viability and consistent biologic drug yields. For protection from shear stress, BASF’s Kolliphor® poloxamer 188 has a long publication history, as well as documented use in the manufacturing of approved biologics. 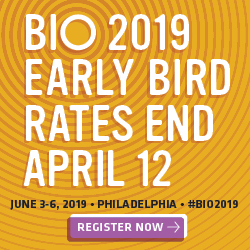 “Excipients that can mitigate biological production risks and improve process yield are in high demand,” says Chattopadhyay, PhD, Business Director Pharma Solutions, BASF Corporation. 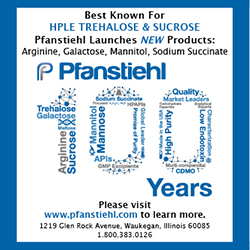 In cooperation with certain users in the biotech industry and with more than 50 years of experience in ethylene oxide/propylene oxide chemistry, BASF has committed to providing Kolliphor P 188 Bio, which is designed to meet needs in quality, consistency, and performance in cell culture systems. 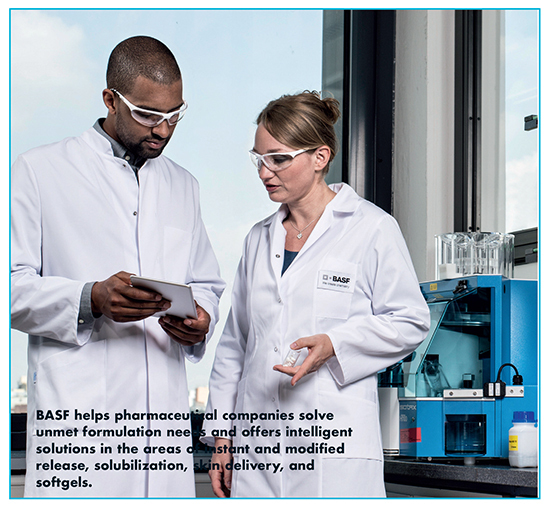 In addition to biologic applications, BASF helps pharmaceutical companies solve unmet formulation needs and offers intelligent solutions in the areas of instant and modified release, solubilization, skin delivery, and softgels, explains Dr. Chattopadhyay. “Today, less than 10 drugs represent more than 50% of biologic drug sales, and we can foresee good growth opportunities for biosimilars in the coming years,” says Christophe Massip, Global Marketing Director, Dow. Biosimilars tend to use similar excipients as the innovator drugs. The emergence of biosimilars increases the need for larger scale manufacturing capabilities for excipient suppliers as they tend to drive growth due to an expanded patient base. Biobetters, on the other hand, and new biologic molecules such as mAbs, recombinant proteins, peptides, and vaccines, are sometimes developed using novel excipients. For instance, Dow has development activities with key customers to design new stabilizers that improve drug potency and shelf life, and can overcome some of the issues seen with polysorbates. In addition to an increased interest in biobetters, Dow customers are actively looking for multi-functional excipients that improve the manufacturing process while imparting functionality during drug delivery. 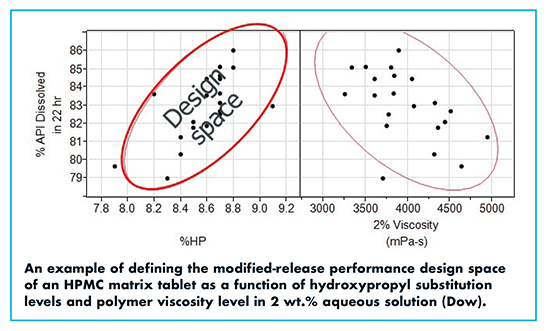 For example, in the case of controlled-release matrices, there is a need to improve flow properties while maintaining a robust release profile and adequate tablet properties, explains True L. Rogers, RPh, PhD, Technologies Leader, Dow. As an example, Dr. Rogers points to METHOCEL™ DC2 where Dow has been able to achieve step-change improvement in flow without co-processing or blending with other excipients. 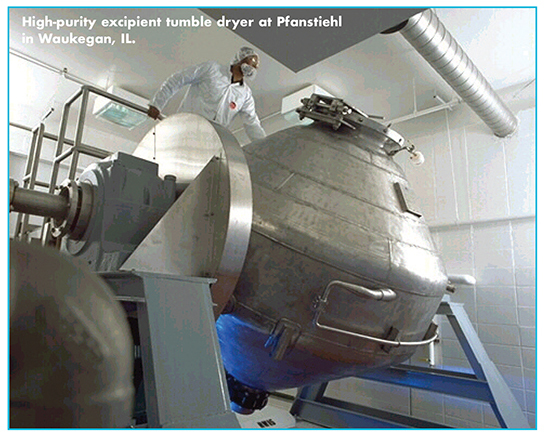 Further examples for solubility enhancement include the development of AFFINISOL™ HPMCAS High Productivity to increase the solids loading in the spray drying process while providing solubility enhancement, and the development of AFFINISOL™ HPMC HME to provide extrudability to HPMC while enabling both controlled and immediate-release formulations. In oral drug delivery, there is increasing interest in excipients and new formulation techniques to enhance drug solubility and bioavailability. The industry is adopting more innovative formulation technologies, which appropriately target the improvement of the transcellular and paracellular uptake of both small molecules and biologics. This often requires the use of new types of excipients like permeation enhancers, enzyme inhibitors, and polymers with advanced functionalities, explains Dr. Thomas Riermeier, Vice President, Pharma Polymers & Services, Evonik Health Care. In parenteral drug delivery, there is a great focus on developing more advanced complex formulations such as liposomes and polymer-based microparticles, allowing for specific drug targeting or extended release. 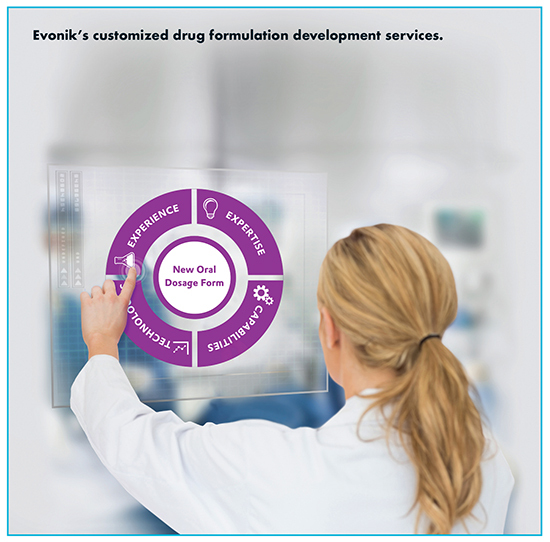 Established functional excipients like EUDRAGIT® and RESOMER® polymers, for example, used in conventional formulations, have become more prevalent for controlling drug release in advanced formulations. The use of functional excipients that improve drug bioavailability can result in the reduction of the API dose while maintaining efficacy, reducing potentially undesired side effects and possibly dosing frequency, he says. Thus, the proper selection of excipients could improve safety profiles of medicines, decrease API demands, and reduce overall treatment costs. Versatile excipients can represent significantly lower development costs and regulatory hurdles than the creation of completely new excipients. “These excipients can accelerate or even enable the development of new drug products that otherwise would not be possible,” he says. Excipients are being evaluated not only for their ability to add value in the finished dosage form, but also well upstream to increase yields, prevent aggregation, and ensure consistent product quality. These additional applications require a thorough understanding of the impact that those components can have in those–often not fully optimized or controlled–environments. The result is greater demand for innovative, fit-for-purpose excipients, says Christopher Wilcox, PhD, Vice President, Business Development, Pfanstiehl, Inc.
Siegfried develops drug products (solid/liquid) and uses excipients to improve certain properties of the drug products, such as solubility, bioavailability, and and stability of the API. For example, in liquid drug product formulations, APIs are often poorly soluble in water. Alcohols are common excipients to solubilize the API, as are vegetable oils to dissolve the API or to form emulsions. 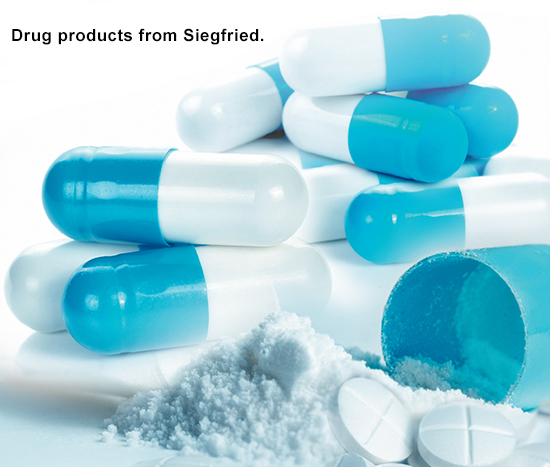 “With our knowledge, we are able to select the required quality grade of these excipients and we are able to maintain the quality during the manufacturing process to provide a stable drug product,” explains Olaf Wegener, Head of Development at Siegfried. There are a few issues that Dr. Till Röhrich, Head Development Drug Product, Siegfried, says are worth considering with regard to excipients. One is the use for direct compression in solid oral dosage drug products. He says direct compression is a much-appreciated process for manufacturing of solid dosage forms. Additionally, is the effectiveness of excipients to either increase the solubility for low-soluble drugs or to improve their stability (examples are antioxidants and moisture capture excipients). With regard to liquid drug product specifically, Mr. Wegener says the route of administration, such as intravenous or ophthalmic delivery, as well as the type of formulation (e.g. emulsions or API in buffer solutions), are separate from material consistency and functionality of the excipient. “Keeping this in mind, a key factor to consider for a new development is the source of the excipient, and as well the regulatory acceptance in terms of toxicology,” he says. Excipients derived from natural animal sources tend to raise regulatory safety concerns due to transmissible infectious organisms. “Thus, both the quality and compliance of excipients has become increasingly important to both the choice and manufacturer of the excipient,” he explains. 1. Pharmaceutical Excipients Market by Type 9Organic Chemical (Sugar, Petrochemical, Glycerin), Inorganic Chemical), by Functionality (Filler, Binder, Lubricant, Preservative), & by Formulation (Oral, Topical, Coating, Parenteral) – Global Forecast to 2021,” MarketsandMarkets, http://www.marketsandmarkets.com/PressReleases/pharma-excipients.asp. 2. Global Pharmaceutical Excipients Market 2017- 2021, Technavio, Jan 2017, https://www.technavio.com/report/global-specialty-chemicals-global-pharmaceutical-excipients-market-2017-2021. 3. Van Snick, B., et al., Continuous direct compression as manufacturing platform for sustained release tablets. Int. J. Pharm. (Amsterdam, Neth. ), 2017. 519(1-2):390-407.